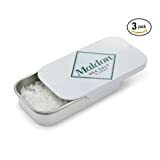 The first thing to know about Maldon sea salt is that Maldon is the name of a place. It is the town where the salt is harvested and it lies on the coast of the county Essex in the East of England. It is situated on the banks of the River Blackwater. Blackwater in this context does not refer to the river’s color but is a corruption of brackwater, which refers to the brackishness or salinity of the water. The Essex coast has long been known for its water’s saltiness. This is due to its marshes and relatively low rainfall. The lower the rainfall, the more concentrated the salt in the water becomes. The Ancient Romans harvested salt on the Essex coast by boiling the water in lead pots but they were not the first to engage in salt production in that locale; Maldon’s salt has been sought after since before recorded history. The Essex salt industry was documented in the Domesday Book published in 1086, which made note of the area’s pits and pans. In 1866, Maldon salt was recommended for treating typhoid and other conditions. The Maldon Salt Company was formed in Maldon in 1882; meaning, the company started trading under that name. By 1900, salt had become popular enough to be stocked by the Harrods and other major London stores. It was at this point that Maldon Salt began to develop its lofty reputation. 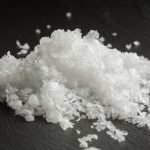 Cooks found it to be better than regular table salt for tasks like salting the brine for pickled beef. They found that it gave the meat a better flavor. The Maldon Salt Company would change hands in 1922 for the only time in its history. It has been owned by the Osborne family for the 96 years since. 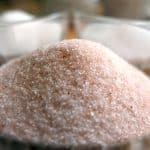 While Maldon Salt became a favorite within Great Britain, it was not particularly well known elsewhere in the world. The very first international order for it was in 1955 and came from Sweden. In 1977, Maldon Salt would be served at Buckingham Palace for the Queen’s Silver Jubilee. The following year, British supermarket chain Sainsbury’s placed its first order to the Maldon Salt Company. In 2012, the Maldon Salt Company was awarded a royal warrant. The family-owned company is still in existence today, producing salt that is exported all over the world. Maldon salt is known for the subtlety of its flavor. Its ephemeral quality is praised among knowledgeable eaters. Its saltiness does not linger like other salts. It has a clean quality as there are no bitter notes. One of the main things to set Maldon sea salt apart from French sea salts is the texture. Maldon sea salt has irregular flakes that have a crisp texture, meaning that are able to add a crunch to dishes. In terms of its chemical makeup, Maldon sea salt is almost identical to most other forms of salt used in cooking. This means that it consists mostly of sodium chloride and very little else. 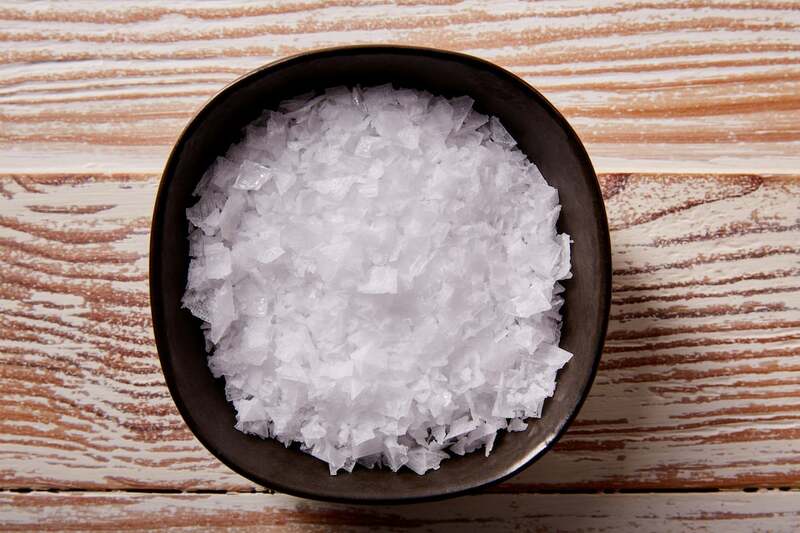 As a sea salt, it lacks the iodine and fluoride that you would get from regular table salt. All of this means that it has very few health benefits. 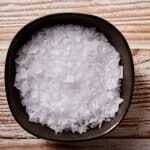 Among the benefits of salt is the fact that it helps to maintain blood pressure and your body uses it to help with the transmission of nerve signals. Maldon salt can be used in cooking just like any other salt, but serious cooks prefer to use it as a finishing salt. This means that it is sprinkled onto already-prepared food just prior to serving it. The shape and texture of Maldon salt grains also make it great for serving at the table. It can be pinched and sprinkled easily and precisely.